She's a naturally stunning beauty, with highlights and lowlights in perfect harmony. Pops of color and gold make her a little dressier, but the lovely tones and weight of natural gemstones are irresistible for daily wear. 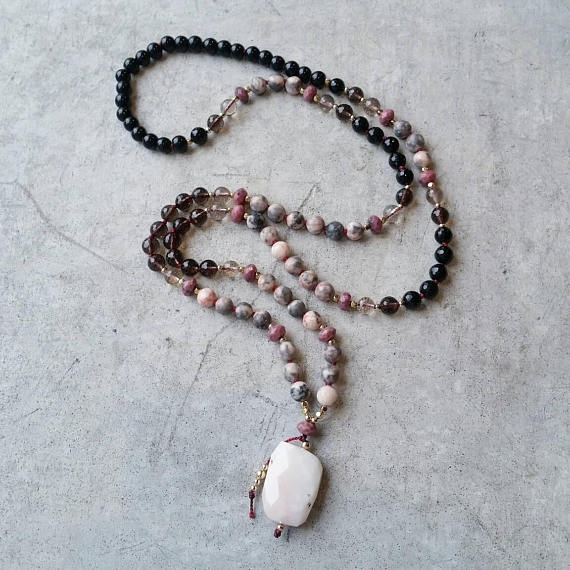 This is the mala to hold onto through busy and stressful times in order to keep love and a feeling of groundedness in the forefront of your mind. Moonstone is the seeker of joy, our constant reminder of sunshine and good vibes, soul-speaking moments and new goals on the horizon. Natural Moonstone has a stunning, earthy range of golden tones, and these small, sparkly babes don't leave anything out. 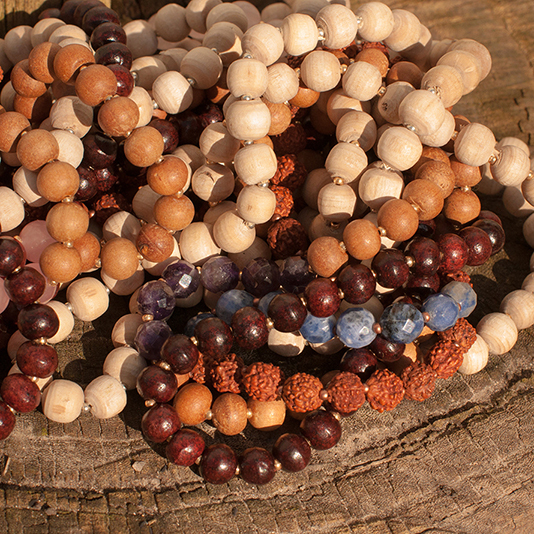 This is the mala to help you find the right words through the mental fog and speak with clarity and integrity. Dumoetierite brings a backup of patience in the workplace and in relationships when you feel as though you're running on empty. If you struggle with confident expression or rely heavily on your verbal skills in this life, this could be the mala for you. We carefully handpick where our materials are sourced, and use as many fair trade relationships as possible.